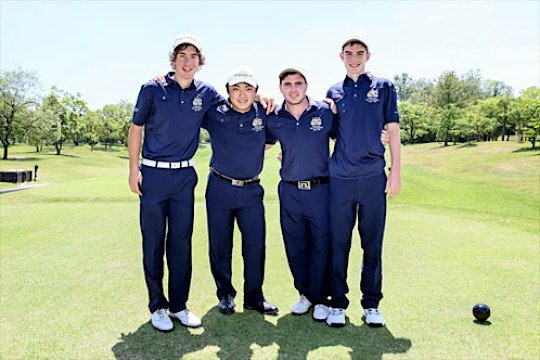 Venezuela’s 5-under 208 in Thursday’s third round brought its three-day total to minus-14 and was enough to take a one-shot lead over defending champion Australia (-13) in the Toyota Junior Golf World Cup 2013 Supported by JAL in Toyota City, Aichi-Prefecture, Japan. Second round co-leader Mexico dropped to third at 11-under, two shots ahead of surging Chinese Taipei (-9). Host Japan currently sits in fifth at minus-6, a single stroke ahead of South Africa and the United States (-5). Sweden (+3) and Germany (+4) check in at eighth and ninth respectively while Chile (+6), Korea (+7) and Costa Rica (+27) round out the field. In the individual competition, Venezuela’s Jorge Garcia (-10) used his third-consecutive sub-70 round to take a two-stroke lead over Lucas Herbert of Australia (-8). Mexico’s Aaron Terrazas sits in third at 7-under, one shot ahead of Thriston Lawrence of South Africa and Chinese Taipei’s Chieh-Po Lee (-6). Australia’s Ryan Ruffels and Scott Scheffler of the United States are tied for sixth at 4-under while four golfers – Japan’s Kazuki Higa, Marcus Kinhult of Sweden, Venezuela’s Gustavo Leon and Adam Wood of the United States – are tied for eighth at 3-under.